For on-demand online grocery delivery service provider Grofers, 2016 has been a year of change. The Gurgaon-headquartered startup not only scrapped its app-only model and launched a website; it has also quietly revamped its business strategy and operation processes. Grofers, which earlier operated on a marketplace model, has now shifted to a 70% inventory-led business where it sources products from different brands directly and stores them in its warehouses for further delivery. The company still services the remaining 30% through its marketplace, where retailers take care of the last-mile delivery. The change began in April this year when the company decided to switch-off all its marketing campaigns and focus more on the supply chain side. In Delhi-NCR (National Capital Region), 90% of the Grofers' volume is serviced through its own warehouses. The company still has the marketplace model but has moved the burden of the deliveries to retailers. "We had hit our peak in April this year, then we decided the way we were doing things we needed to change that otherwise we would incur very high costs of delivery. It required us to make a lot of changes to our supply chain. When we hold inventory, our gross margins grow up. There is also a cost of holding the inventory but overall it is better bet because the cost is significantly lower," Albinder Dhindsa, chief executive officer, Grofers told Techcircle, in an exclusive chat. Going towards an inventory model has been a cost cutting measure for Grofers. Dhindsa said it will take some time before the investments show results. "That is difficult to estimate yet as we are still continuing to make these investments, but at least a couple of years before we break even at an opex (operational expenditure) level there." Grofers has built multi-level warehouses in markets including Delhi, Mumbai and Bengaluru. It has created 4.5 lack sq ft. warehousing capacity in the country, in its progression towards an inventory-led business. It has, so far, invested $12 million on building the warehouses and fixing the supply chain. It currently claims to deliver around 13,000 orders per day in 18 cities including Delhi, Ludhiana, Mumbai, Chandigarh, and Kolkata. It also claims that the average order size has grown from Rs 600 to more than Rs 1,000 in the last year. Dhindsa credits company's shift in the business strategy and long-term investments in infrastructure to constant advice from its top investor Softbank. In November 2015, Softbank had pumped in $120 million in Grofers. The round also saw participation from existing investors in Grofers' including Apoletto Managers (personal investment vehicle of DST Global's Yuri Milner), Tiger Global Management and Sequoia Capital. "They have been our best cheerleaders in terms of asking us to invest in long-term infrastructure because it will be more of advantage in the longer-run. These guys are in no hurry. We would have not been able to make all these investments if not the encouragement from Softbank," said Dhindsa. SoftBank is one of the largest investors in some of India's leading consumer Internet companies that include e-commerce platform Snapdeal, cab aggregator Ola, hotel rooms aggregator OYO, realty portal Housing.com, besides Grofers. "We are bullish about Grofers and we think they are setup for success and we help them in every way including market practices. We try and advise them whenever they require help and our leadership team and management team has been helping them," said a Softbank spokesperson on mentoring Grofers on its growth path. While the company tightened its screws on the supply-chain side, it also shifted its last-mile delivery from 90-minutes to next-day in all the 18 cities it operates in. Dhindsa said the move was largely to incorporate orders with large ticket size and also to bring cost-efficiency to logistics which was a huge cash burner for the company earlier. The super-fast delivery was one of the key USPs of Grofers. BigBasket had countered it with its own express delivery. However, Dhindsa says the company will be launching six-hour delivery facility in Delhi-NCR and Mumbai starting this week. "Having run the express business, the cost to achieve scalable unit economics was coming too high. As such, it made more sense for us to rejig our supply chain more towards sustainability. Express is still 30% of our business and entirely profitable since we moved in our current direction," said Dhindsa. Grofers, which earlier used to deliver separate orders on motorbikes, has shifted to delivering orders using vans. According to Dhindsa, the company is soon launching electric rickshaws to deliver in Delhi-NCR, which is Grofers' biggest market. The startup will lease the rickshaws and work with small vendors to deliver products through them. "By January 2016, electric rickshaws will constitute around 80% of our fleet in Delhi-NCR," he said. Another thing Dhindsa points out which has worked in Grofers cost-cutting efforts is the inception of private labels, which offer much higher margins. The company sells pulses, grains, snacks under its own labels including Freshbury and Best Value. Dhindsa claims private labels constitute around 12-13% of the Grofers overall sales number and expects the number to grow to 30% in the next three months. "Our discounting has overall moved to brand driven discounts or if we are doing discounting we are restricting it to our own private labels. We enjoy around 35% margins on our private labels," he adds. With the different steps Grofers' has undertaken in the supply-chain side and on the private label-front it is slowly replicating its biggest competitor BigBasket in some ways. Bengaluru-based SuperMarket Grocery Supplies Pvt Ltd, which operates BigBasket, had raised $150 million (about Rs 1,000 crore) in an expanded round of funding led by the UAE-based private equity investor Abraaj Group in March 2016. 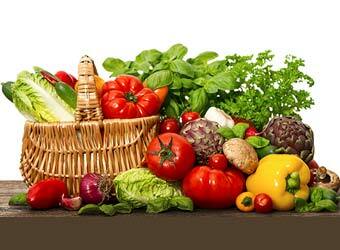 BigBasket operates through an inventory-led model and runs warehouses in different cities. In fact, BigBasket had dabbled in the private-labels much earlier than Grofers. It almost makes sense that Grofers is trying to follow BigBasket's steps, which is the biggest player in the grocery e-tailing space. The financial standing of the two companies is, however, very different. Grofers posted net revenue of Rs 72.9 lakh for the financial year ended 31 March 2015, with losses amounting to Rs 3.90 crore. BigBasket, on the other hand, clocked in revenues of Rs 170.24 crore with loss of Rs 60.61 crore during the period, according to filings with the Registrar of Companies. Dhindsa said Grofers may stand a chance to outrun BigBasket on the innovation side. "The biggest competitor in the market for us is only BigBasket. We are both sort of doing similar things. They have a lead of few years in private labels and setting up their own fulfillment and warehousing and we have lot of learning on the express (delivery) side of the things," he said. Industry observers say the Indian grocery e-tailing segment is not a winner-takes-all market and is large enough to accommodate several players. "BigBasket has a head start over Grofers, they have been there and learnt a lot from their experiences in Bangalore and NCR and then scaling it up. But having said that grocery is a very local business and it has to be built city by city. It is much more complex in terms of supply chain and it is still early days in the business. India is such a big market there can be definitely by more than one player in grocery business," says Pragya Singh, vice-president, Technopak Advisors. The hyper-local delivery space has faced headwinds lately with investor funds drying up and high cash burn rate. Nearly half a dozen startups have died in this space in 2016 alone. Earlier this year, hyper-local grocery delivery app MovinCar closed down its operations, with two of its three founders setting up a logistics-tech startup. Snapdeal-backed PepperTap also shut shop to focus solely on its logistics business. Mumbai-based online supermarket LocalBanya stopped taking orders in October 2015. The grocery e-tailing market is still gearing up for more competition. Home grown e-commerce firm Flipkart plans to have a second attempt at the grocery business. The firm intends to scale the grocery business operations over a three-year period, Binny Bansal, Flipkart's chief executive officer, told Reuters in an interview last week. In February 2016, Flipkart had shut down its grocery delivery app Nearby, five months after it was launched in Bengaluru. Earlier this year, Amazon had also launched grocery app, Amazon Now in Bengaluru.